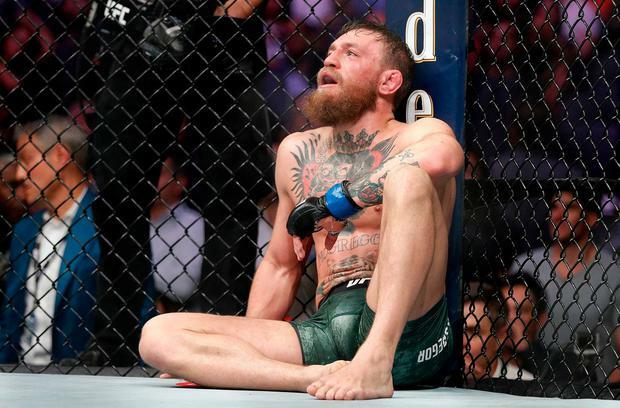 The Irishman made his comeback after nearly two years away from the octagon but was thoroughly outclassed by Nurmagomedov, whose rear-naked choke forced a submission midway through the fourth round. Here, we look at what his future options are. McGregor is keen, though, tweeting on Sunday: "Good knock. Looking forward to the rematch." Any return bout would likely be a lucrative affair for all concerned but the toxic nature of this weekend's contest, and the events leading up to it, may halt the UFC in its tracks. The comprehensive nature of the unbeaten Russian's win should be taken into account, too - does McGregor deserve another shot at the champion? If McGregor were to keep fighting in the UFC then this could be the most logical contest to make. The pair have a mutual dislike of each other although not nearly as intense as the enmity shared between McGregor and Nurmagomedov. Ferguson has been itching for a fight with McGregor - or 'McNuggets' as he has taken to calling the Dubliner - and is ranked number two in the lightweight rankings, so he would be no easy night's work. McGregor was said to have earned 100 million US dollars when he crossed over to boxing last year to take on Floyd Mayweather. He was stopped in the 10th round but fared better than many anticipated. Mayweather took his record to 50-0 in that fight and insists he is retired, although the lure of another big pay day must be a tempting prospect for the man nicknamed 'Money'. Mayweather earlier this year teased a foray into mixed martial arts but he was most recently in the headlines for suggesting he is close to a rematch with Manny Pacquiao. A trilogy fight with the American would be an easy sell for the UFC and you would expect a lot of fireworks in the lead-up to the bout. McGregor avenged his 2016 defeat in the octagon at the hands of Diaz but a decider could make sense. Ahead of his bout against Nurmagomedov, McGregor was asked about potential future foes and the one surprise name on the list is arguably the greatest UFC fighter of all-time. The Brazilian ruled the middleweight division from 2006 to 2013 and at one point was on a 16-fight winning streak. However, the 43-year-old's best days are well and truly behind him, with four losses in his last six bouts. The discrepancy in weight between the pair should kibosh any plans to match the fighters. Why should he risk his long-term health in a sport that can cause irreversible damage? One reason - and he kept alluding to it all last week - he loves the fight game, meaning it is highly unlikely that we have seen McGregor in some form of combat sport.